You may remember that I did some work last year campaigning against the “three strikes and you’re out” disconnect system, where suspected filesharers are disconnected from the internet after the third allegation is made. That’s allegation, not any sort of proof. Like Big Media wants, you’re guilty until proven innocent. I wrote to representatives including Neil Parish MEP (who sent one incomprehensible answer) and didn’t seem to have much effect personally, but collectively, the campaign saw an Improved Telecom Package Passed by EuroParl. Now it seems that one English service provider, Hull’s monopoly ISP Karoo, has decided to adopt the “three strikes” process by choice. Amazingly, “three strikes” is actually an improvement on the “one strike” policy previously used by Karoo and exposed by the BBC. When will someone take these Kang-Karoo courts to a real court for breach of contract, or for abuse of their Hull monopoly? 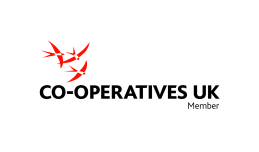 I’m outside Hull and against three-strikes, so I joined the Phone Co-op, so I can vote against three-strikes when we’re offered it. This entry was posted in ThePhoneCoop and tagged copyright, eu, europarl, isp, karoo, three-strikes. Bookmark the permalink.